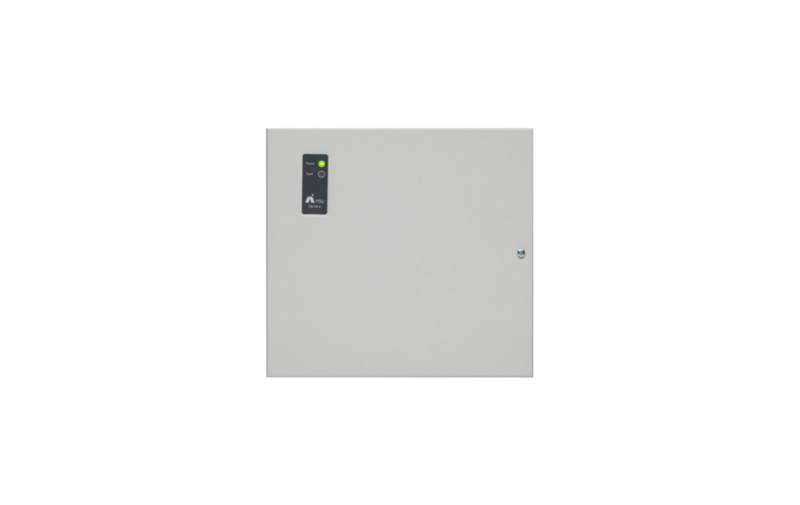 The Advanced 1.5A, 3.0A and 5.0A power supply units can be used for any fire alarm system which specifies EN54-4 power supply equipment. Suited for almost any application, the power supply unit/battery charger has been developed using the latest surface mount technology to provide a high efficiency switch mode power supply. The power supply units are available in fully enclosed construction providing power and fault indication or alternatively in caged versions for mounting into existing enclosures of various sizes to suit different battery capacities. PSE and charger or PSE only options on the 3.0A and 5.0A versions. A Serial Link option is provided on the 3.0A and 5.0A versions. Allows reporting of PSE status and voltages / current measurements to compatible control panel / modules. Dimensions Boxed H x W x D mm: 7Ahr 320 x 345 x 88. 18Ahr 425 x 406 x 125. 38Ahr 425 x 406 x 190.